During one of my visits to Seattle, I went and checked out Starbucks' Reserve Roastery and Tasting Room near downtown. The space perfectly embodied everything I wish every Starbucks would be. Beautiful detailing, manual brew methods, small-batch roasted single-origin coffees, and, most importantly, no blenders in sight ;). When I ordered my coffee, the barista allowed me to select my brew method of choice. For kicks, I thought I'd give the Chemex a shot, since they didn't offer the Aeropress. He went on to talk about the Chemex in a way that made it sound like the holy grail of manual brew methods which intrigued me greatly. The Chemex company makes some pretty bold statements about their coffee maker, but does it live up to all the hype? Dr. Peter Schlumbohm PhD. invented the Chemex in 1941. He developed more than 300 product patents while in pursuit of making everyday objects more functional, beautiful, and pleasing to use. As a chemist, he had a strong understanding of coffee extraction which allowed him to apply his pursuit to coffee making. Made from non-porous borosilicate glass and utilizing bonded paper filters the Chemex brews coffee without imparting any flavors of its own. The Chemex company website makes the following claim: "The Chemex® coffeemaker, together with the Chemex-Bonded® Coffee Filter, makes perfect coffee. Clear, pure, flavorful and without bitterness or sediment every time." Siting the use of the scientifically designed glass and proprietary filters, the Chemex brews a coffee with a distinct purity that allows it to be covered and stored in the fridge without losing flavor. In terms of flavor, I personally don't buy the hype. When brewed correctly, I find very little variance in flavor or clarity when compared to a V60. 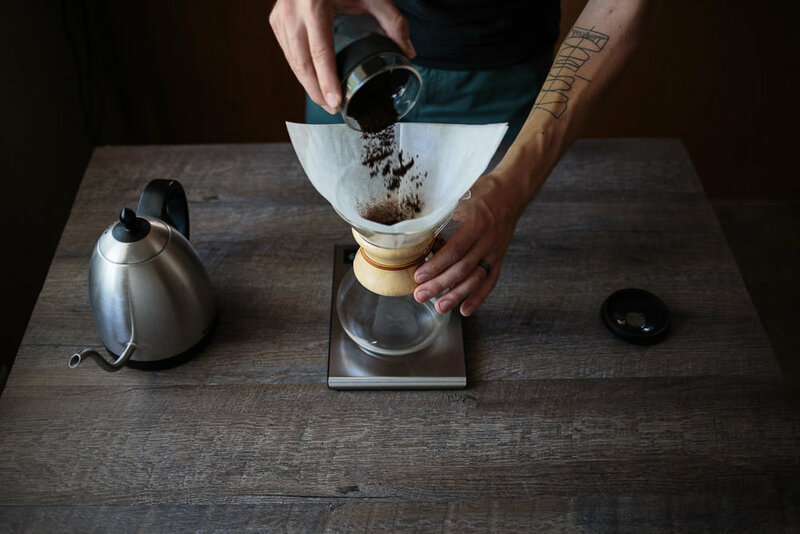 The Chemex brews delicious coffee but it doesn't produce a distinctly superior taste to other pour over methods. 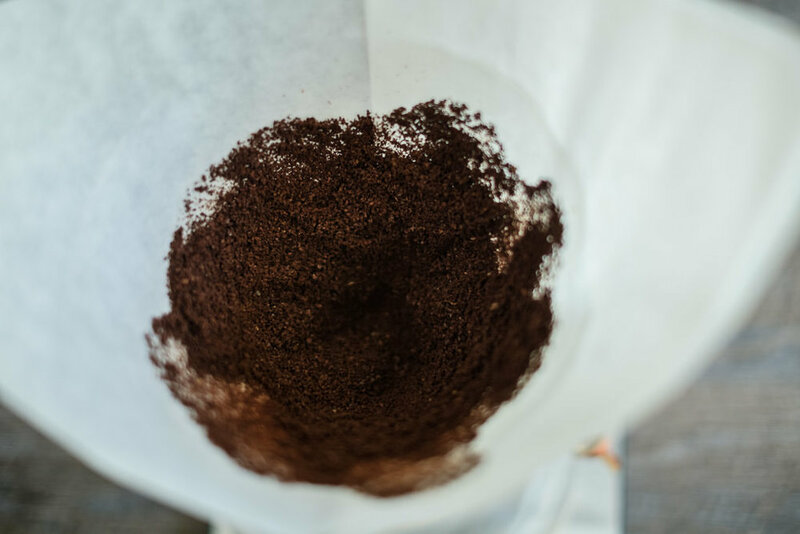 One distinct advantage of the the Chemex over the V60 comes in the form of volume. V60s max out their capacity at 6 cups with the size 03 while the more common size 02 maxes out at 4 cups. The Chemex, on the other hand, can handle up to 10 cups in its largest size. That and, let's face it, the Chemex is just a beautiful coffee maker. When you need to brew a few cups at a time and you want to deliver in an Instagram worthy vessel, you should probably reach for the Chemex. 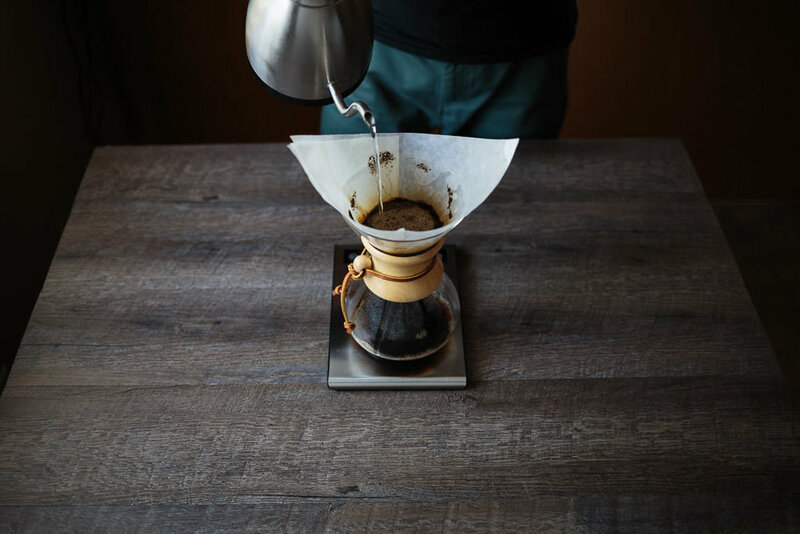 To this day, the Chemex maintains its original design from 1941: an elegant single piece of glass molded in an hourglass shape with a wooden collar fastened by a leather tie. A number of museums recognize its design and keep it permanently on display including the MOMA and New York's Coming Museum of Glass. The Illinois Institute of Technology named it one of the 100 best designed products of modern times. The iconic coffeemaker mades its debut in a post-war culture in love with Modernism and precision manufacture. The juxtaposition of the natural wood secured by the leather knot against the laboratory glass in its distinctive shape made for a popular design piece. It makes appearances up all over popular culture. James Bond even uses it as his preferred coffeemaker in the book From Russia, With Love by Ian Fleming. As always, if you have any comments, questions or thoughts for future posts leave a comment below, send me an email from the contact page, or reach out on social media!